Given the fact that even young children brush their own teeth, you probably believe that you mastered tooth brushing long ago. But, countless individuals make critical errors when it comes to tooth brushing that really ought to be rectified for proper dental care, which will ensure that their teeth stay as healthy as possible. Keep reading to learn whether you are making some of the common tooth brushing mistakes. Of all the tooth brushing mistakes people make when it comes to proper dental care, one of the most common is using an improper toothbrush. Family dentistry experts recommend that the brush be the correct size and have a comfortable handle, but this is often not the case. If a proper toothbrush is selected, it is more likely to be used regularly and correctly. The toothbrush needs to strike the right balance between being firm enough to remove plaque buildup and soft enough to prevent damage to the teeth and gums. When in doubt, ask your dentist in Peoria for a recommendation. 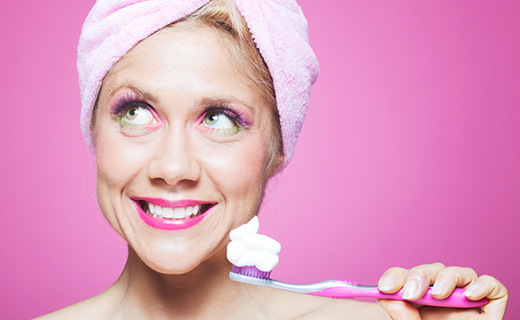 To avoid dental care mistakes, be sure to brush at least twice a day. Long intervals between tooth brushing can allow damaging bacteria and plaque to form. On the other hand, brushing too often can lead to exposure of the tooth roots, and brushing too roughly can erode the tooth enamel. For proper dental care, brush gently two or three times per day for two to three minutes, in long, horizontally angled strokes. Not using the proper tooth brushing technique is also a common dental care mistake, but is easily rectified. According to family dentistry practitioners, the best tooth brushing technique is to ensure thorough brushing of all teeth. Pay close attention to the inner surfaces of the teeth is vital, but something all too many tend to skip, which can cause difficulty at the next visit to their dentist in Peoria. For optimal dental care and proper toothbrush maintenance, thoroughly rinse the brush after using, allow time for the brush to dry, and replace the toothbrush every three to four months.